You can sell stocks, bonds, mutual funds, or other investments that have lost value, to reduce taxes on realized capital gains from winning investments. It’s called tax-loss harvesting. You can offset capital gains when you have a investment losses on stocks, bonds, mutual funds, or other investments that have lost value( both short-term and long-term on stock). If your capital losses are more than your capital gains, you can deduct the difference as a loss on your tax return. This loss is limited to $3,000 per year, or $1,500 if you are married and file a separate return. Here is tax-loss harvesting tool from fidelity (login required). 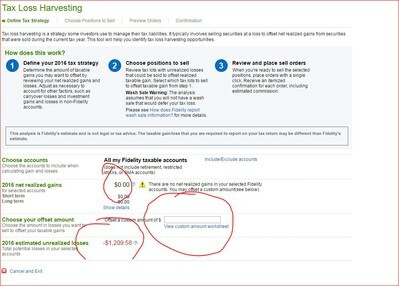 How to sell specific shares at Fidelity?